About ten years ago I went through a rough patch. I had overextended myself was teetering on the brink of exhaustion, and things weren’t going so well for me at home. So I took a bold step – I left my family at home, drove to Tennessee, rented a cabin in the woods, and spent a week getting my head back together. The cabin was at Cumberland Mountain State Park, which is between Nashville and Knoxville along the I-40 corridor. I still had my first camera collection then, and I hadn’t shot with any of them since I was a teenager. So I dropped a roll of film into my mid-1960s Kodak Automatic 35F and took it along. Now, in those days I didn’t know my way around a camera with manual settings, which this one had. I didn’t even know what a light meter was and that this camera had one built in! So I was very much experimenting, and many of my photos didn’t turn out. 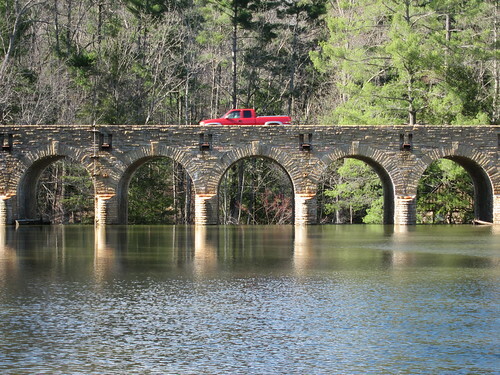 The centerpiece of Cumberland Mountain State Park is the dam and bridge on Byrd Creek. If you’re ever in the area, I urge you to drive this bridge. Whether you approach it from the east or the west you drive downhill to reach it, and as you round a gentle curve it seems to burst into view. It is a commanding presence, the kind that makes you gasp or sigh and perhaps even reel your head back a little. And so I was very glad that despite my terrible photographic skills the one photo I took of the bridge looked pretty good. The trip was restful, and I drove home refreshed at its end. My inner roadgeek and bridgefan was only just beginning to awaken in those days. This bridge stirred my budding interest, but I put everything nonessential in my life on hold as I tried, and failed, to fix what was wrong at home. After the divorce, I finally picked up that thread and started making road trips – click here to read about my first one. But as my love of the road deepened and my photographic skill increased I wished I could visit this bridge again. As spring break approached this year, I tossed out a few options to my sons – a trip to Yosemite, a jaunt down old Route 66, or a relaxing time at a cabin in the woods. To my surprise and delight, they chose the cabin. I immediately made reservations at Cumberland Mountain State Park. Of course, I packed my camera! On the first sunny day it and I headed for the bridge. Say what you will about Franklin D. Roosevelt and his New Deal programs, but the Civilian Conservation Corps certainly did some excellent work through the Great Depression. Working from 1935 to 1940, CCC workers built this structure of concrete and faced it in Crab Orchard stone, a kind of sandstone native to the area. 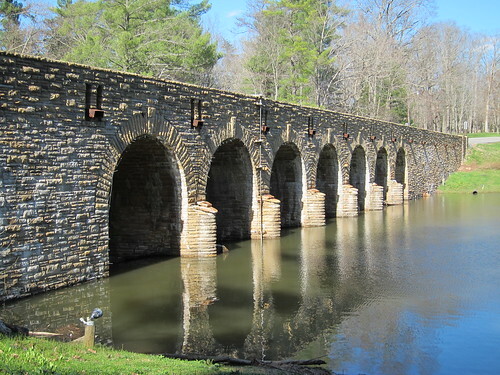 The structure not only provided a bridge over Byrd Creek, but it dammed the creek as well to create Byrd Lake, forming the basis for this park. 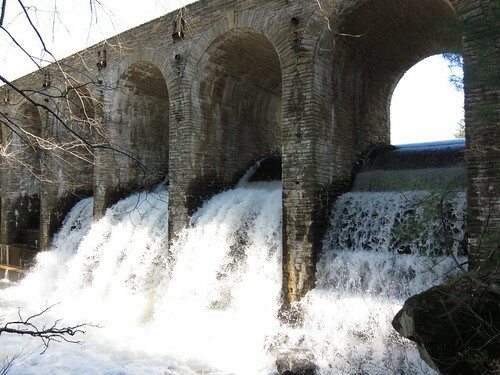 The water levels weren’t high enough on my first trip to trigger any spillage over the dam, but this time recent heavy rains had done the trick. The rushing water makes quite a ruckus! I took these photos with my new Canon PowerShot S95. But I brought a vintage camera along too, a Zeiss-Ikon Contessa LK I had recently purchased. Like my old Kodak Automatic 35F, it’s a 1960s viewfinder camera with a built-in light meter. Soon I’ll have the film developed, and when I write about that camera here perhaps I’ll share more photos of this bridge. Why do I like old cameras so much? Because I’m an engineer at heart, and I love all the intricate work in them. Read the whole story. Nice pictures. It’s rather refreshing to see a set of “then and now”s that show things looking pretty much the same. There is a stone lodge on the downstream side of that dam that can (or at least could) be rented. It’s a bit more space than one and two half men would need but the boys could probably find some buddies to come along and help toast marshmallows. I know the lodge. The boys and I kind of wished we’d rented it instead of the one we got. Not that the one we got was a problem; we enjoyed it very much. But having those waterfalls as our view would have been extra nice! Very nice. And I’m one of those in-too-big-a-hurry people who fly by on the I-40, forgetting that the trip is the destination. Shame on me. Oh, no need to be too hard on yourself. Sometimes you just need to get to where you’re going. The decade-old 35F picture is excellent. The color is warm and soothing. The greens are a wonderful complement to the sandstone. The composition is superb. Everything in picture feels so natural. Even the fact that it’s all slightly fuzzy works. It’s a peaceful, fantasy-land that has a great bridge/dam. Good work. Thanks Aaron! I always liked the almost 3D effect of it — the bridge seems to push out of the photo at you a little. The photo from a similar angle that I got out of my Canon S95 doesn’t work as well, and ~10 years hence I have at least a clue about what I’m doing with a camera! I love your pictures, and your musings on life. 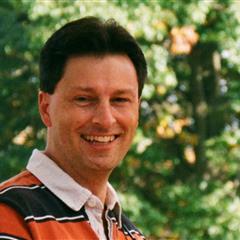 I just found your blog a month or so ago, and really enjoy reading it. Keith, thank you very much! I’m glad to have you as a reader. Wow..those are incredible picture of the bridge, water and foliage. Very nice. Age adds a poise and grace even to man made things and mergers them with nature to enhance its beauty. How one wishes, we have more leaders with the foresiight of FDR, especially to avert greed-made crises like sub-prime lending. When are you proposing to travel to Yosemite ? I am impatient to revive my memories of the stream, the sheer cliffs, the cup-like valley beside the windmills and the orange orchards on the way. Perhaps my sons and I will venture to Yosemite in 2013. We make trips every other year! Beautiful! Tennessee has its high points! Absolutely! Tennessee is one of my favorite places on Earth. Well, except for Memphis.